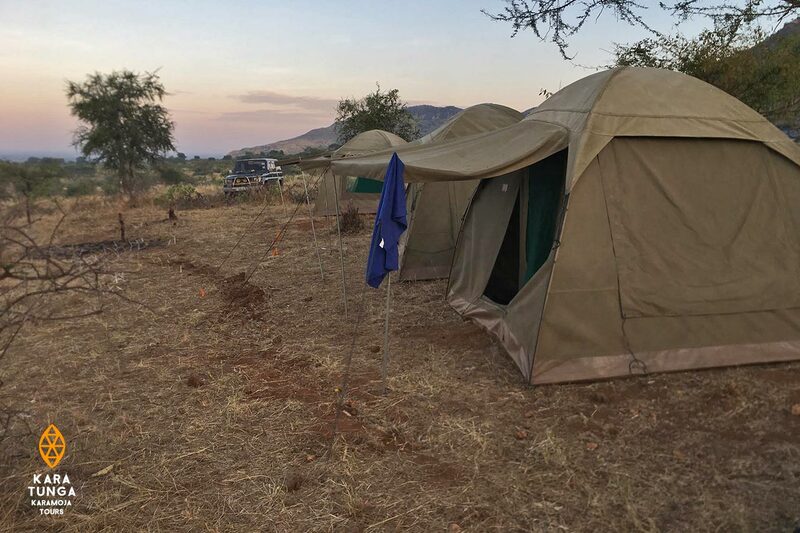 Karamoja Bush Camping is a very adventurous and unique experience. This provides a special opportunity to get a grasp on what is happening in the ecosystem on ground level while still being surrounded by fantastic cultural experiences. 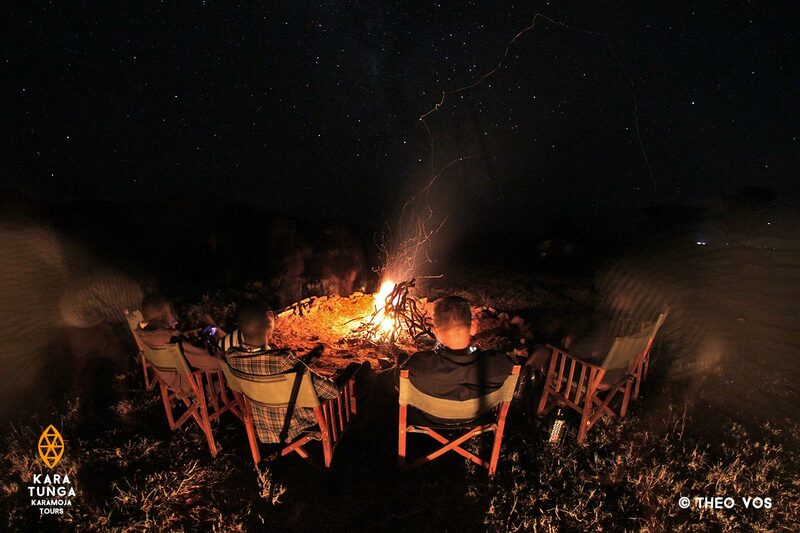 A Bush Camping experience can only be booked in dry-season and in small groups. Sitting under the stars at night after a hot shower and a great meal, listening to the night sounds is the best way to merge oneself with nature. You are of an adventurous spirit, looking for something out of the ordinary and willing to push beyond your comfort zone, Bush Camping is an experience not to be missed! The length of stay is usually one night only, but can be extended to two or even three nights upon request. Bush Camping needs to be booked in advance. 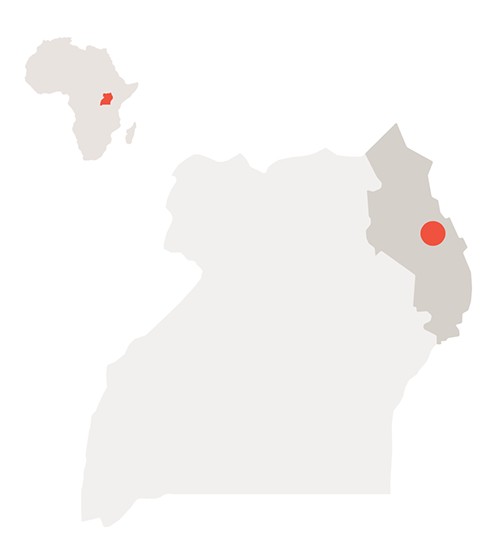 Ugandas Northeastern region known as Karamojaland is the true wilderness of the country. With our team of experienced indigenous guides we’ve selected three unique locations within the wild lands. 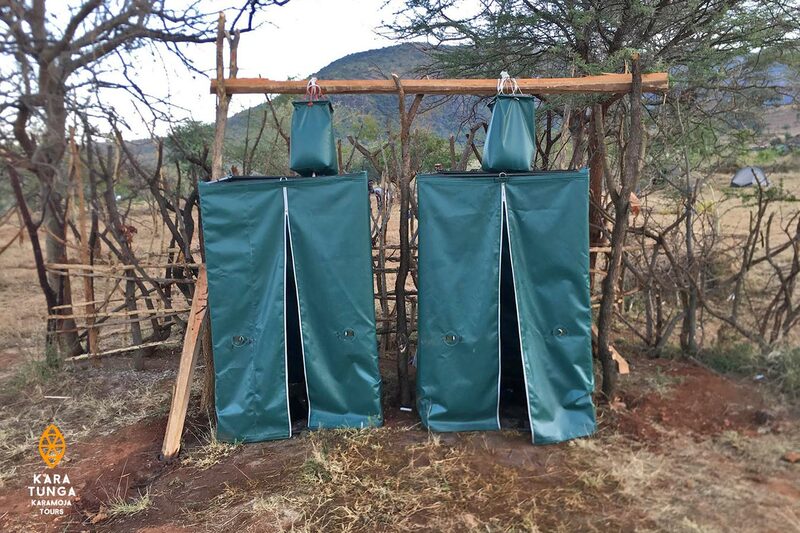 Spacious canvas tents with mattress, pillow, linnen and hand towel fitting up to two people comfortably and three people besides each other. Enjoy comfort in the African bush with hot showers and drop toilet facilities under the shadow of acacia trees. 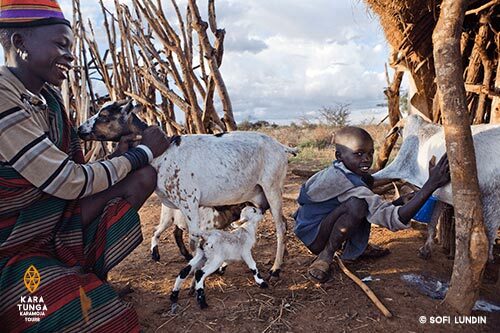 Immerse in Karamoja’s rich authentic nomadic pastoral culture that has been untouched for thousands of years. The night is spent sitting around the campfire under a starry skies, cooking on the open fire and joining in in conversations about the day’s events. 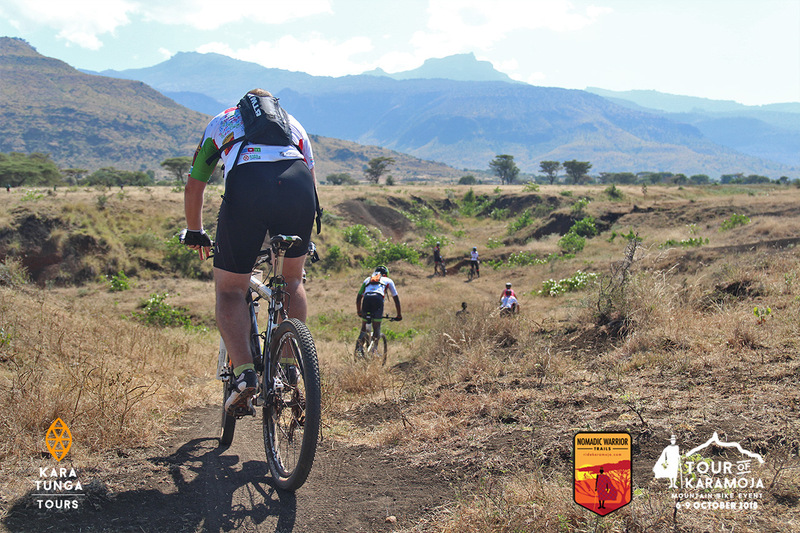 Karamoja offers an exciting alternative to the more strenuous climbs in East Africa with many of the same attractions, a milder climate, lower elevation. 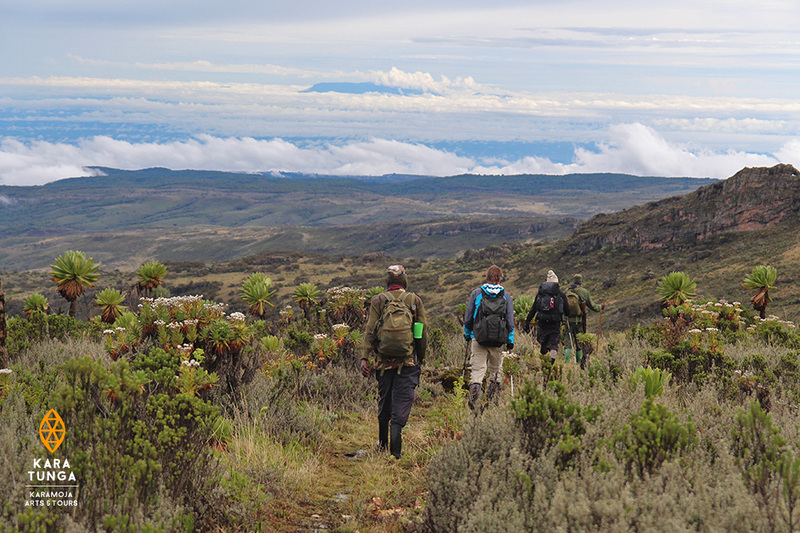 Experience our unique trail system on the slopes of Mt Moroto mountains and over the untouched savannah planes with guided day trips available seven days a week.